“He told us if "anything negative” was produced about the orphanage, the programme couldn’t be made." Finding Banni : A very personal story. In 2000 I came home from school one day to find a small boy I had never seen before sitting on the couch in my sitting room. I was 12 years old and my mother explained to myself, my younger brother brother and sister that this was Banni, an orphan from Belarus who would be staying with us for two weeks. Banni was different. He was seven years old but looked about three or four. He swung his head back and forth constantly, made quiet humming noises and kept grinding his teeth. This, we would later learn, was as a result of years of confinement to a small cot in the orphanage. He was shy and nervous, as were we. We didn’t know what to make of him or how to interact but that would soon change. Two weeks flew by and Banni transformed. My parents doted over him, we did too. We took him with us everywhere we went, we brought him to visit our school, we took him to the beach where he felt sand and the ocean for the first time, he experienced more care and love in those two weeks than he had probably every felt before. When it was time for him to go home my parents were faced with a hard decision, send him back to the decrepit orphanage in Belarus or keep him. They decided to adopt him. For the next year Banni stayed with us as my parents went through the adoption process. In that time he progressed rapidly. He started to feed himself, he stared to walk, he was enrolled in a special needs school where he made friends, he was going great. My brother Patrick, sister Noreen Ann and I were all sent for assessment by social services as part of the process. They asked us hard questions like, ‘When your parents are too old to mind him, which one of you will mind Banni?’, I can’t remember what we answered, but I do remember we all looked at each other as the reality adopting a disabled boy set it. There were complications in the adoption process on the Belarusian side, apparently there always are. 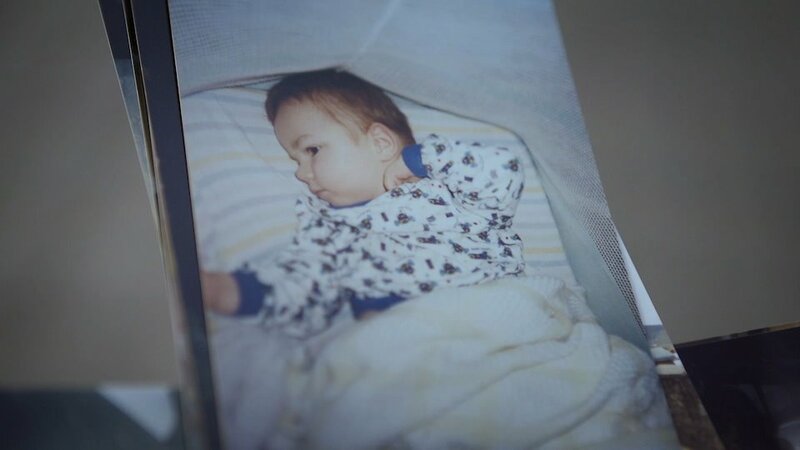 Banni’s father was nowhere to be found and his mother was in an asylum and unable to sign the necessary paperwork. My mother went to Belarus, hired a lawyer and fought tooth and nail to get Banni. The Belarusians were suspicious and couldn’t understand why a Westerner with a healthy family would want this disabled orphan. After much struggle it was over… they blocked the adoption and Banni was sentenced to life forever more in institutions. He was flown back to Belarus and we were devastated. Years passed and in 2009 I was asked to go with a charity group to an orphanage in Belarus to make a video of the work they do. It just so happened to be Banni’s orphanage. I went with the group and we first spent some time filming in the abandoned city of Pripyat next to the Chernobyl power plant which now lies within an ‘exclusion zone’ due to high levels of radiation. After a few days here it was time to travel to Gorodishche orphanage in Belarus. Walking in the door I burst into tears when I say Banni again… sitting in the corner of a dirty, damp and hopless room. Surrounded by other kids in straight jackets and in wheelchairs, it broke my heart. I talked to Banni but he ignored me. He was swinging his head back and forth again, making quiet humming noises and grinding his teeth. For some moment he stopped, froze and starred at me and I thought he might have recognised my voice. But seconds later he went back to shaking his head. Another six years have passed and I don’t know where Banni is or how he’s doing. Someone told me he was still in the orphanage, in ‘section 7’ which is where the oldest boys are. Someone else from a local charity group said he had been moved to an adult asylum, somewhere far away in the Belarusian countryside. The conditions there I’m told, are horrific. I was talking to someone recently about the upcoming 30th anniversary of the Chernobyl disaster and I started to tell them the story of Banni. When they asked more about his background I realised I know so little about this boy who was such a significant and important part of my life. I don’t know where he came from, what his family background is, how he ended up in a orphanage, the exact nature and cause of his disabilities, how he was selected to stay with us, why exactly the adoption was blocked… and most importantly… where he is now and what the future holds for him and so many like him in those institutions. This is ‘Finding Banni’.